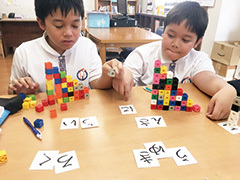 Students learn the International Baccalaureate Primary Years Programme (PYP), where subjects required by the Ministry of Education, Culture, Sports, Science, and Technology are more advanced than the regular elementary schools. It may depend on the grade of entering school, the difference of the achievement level of language among the students will be seen as their grade proceeds. 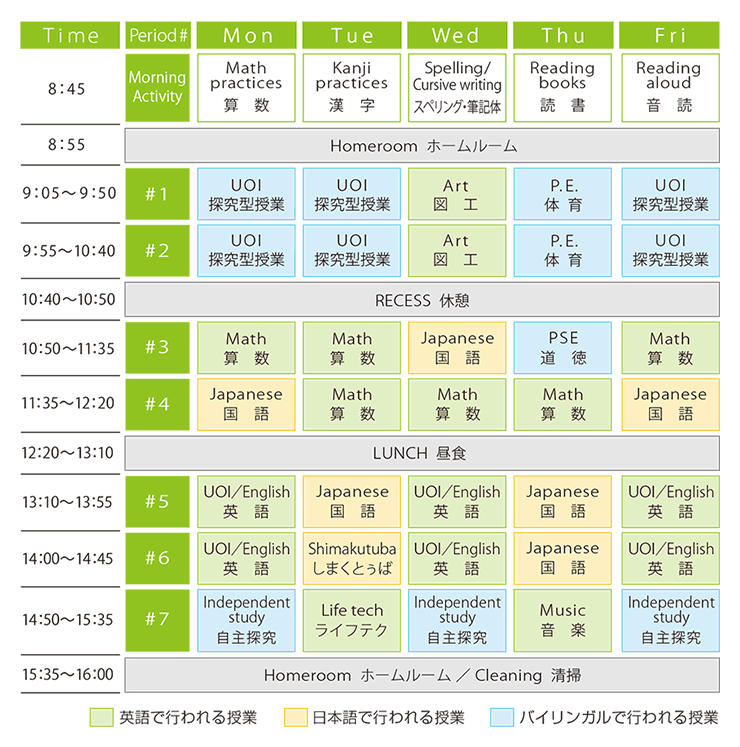 To solve the anxiety of students and parents, we support to acquire four macro skills by setting Language Support Class (Pull Out Class) during Japanese and English classes. Also, for home study, we provide individual lessons online (LHP: Language Hospitality Program), and aim for a balanced improvement of the ability of language and knowledge. 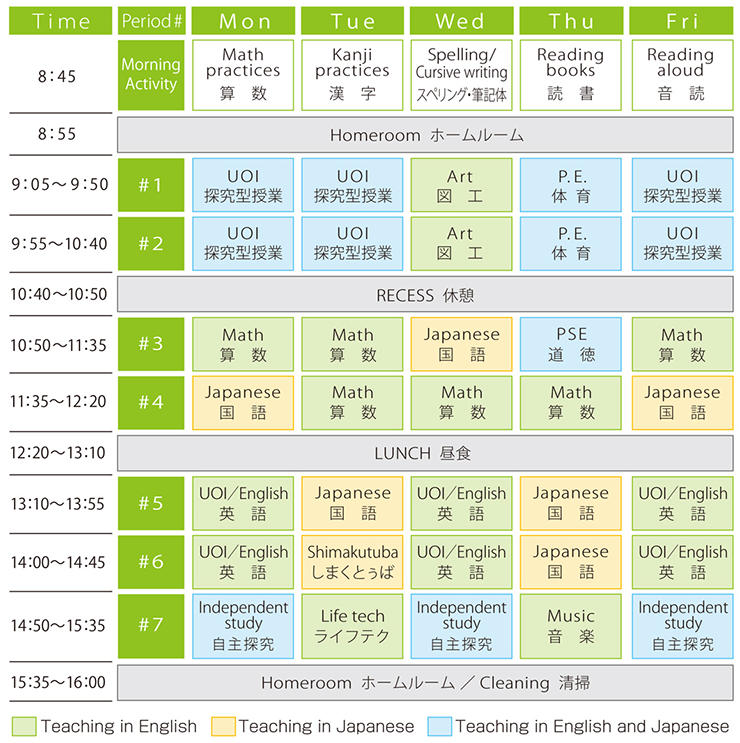 Throughout all grades in elementary school, we take in many classes that inquire themes as learning interdisciplinarily (UOI), which is the biggest feature of the International Baccalaureate education, in addition to basic subjects such as Japanese, math, art, and music. 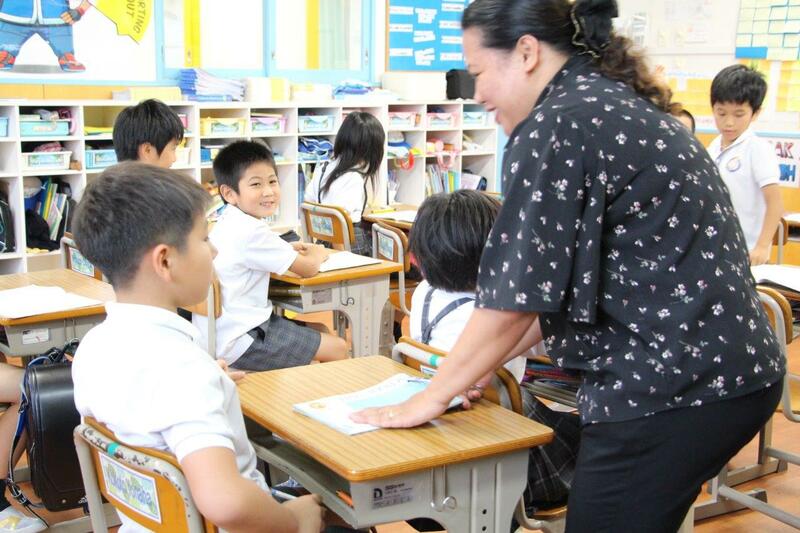 OIS will hold on international School guidance counseling.